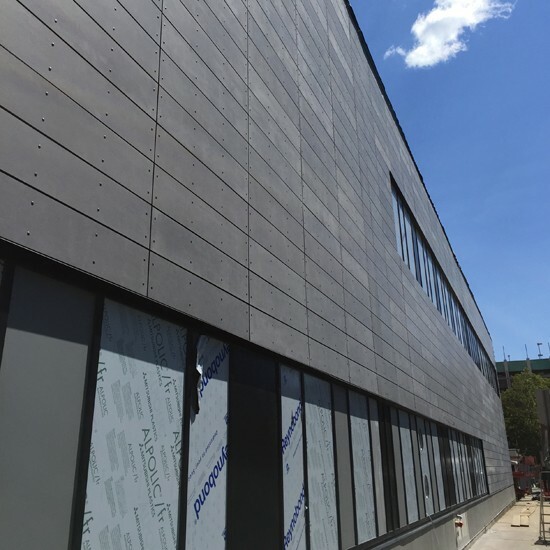 This project consisted of the demolition and re-cladding of an existing building façade as part of a lab space consolidation for a Cambridge-based life sciences firm. The existing structure posed some true challenges with some large installation tolerances. Sunrise had to incorporate different types of adjustable furring systems to keep the new façade plumb and true. 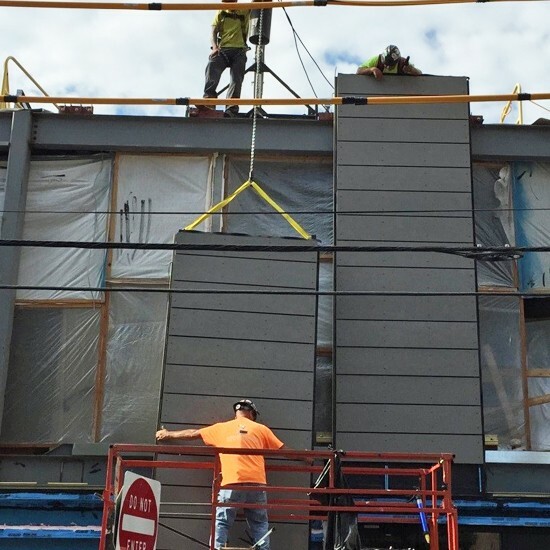 We also incorporated our unitized panel system to keep our installers safe and away from nearby power lines. 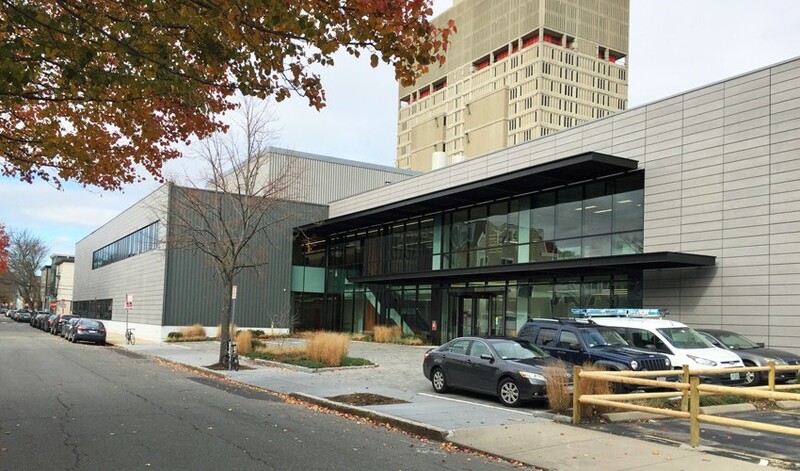 Product scope included air and vapor barrier, exterior framing, insulation, fiber cement siding, standing seam zinc panels, aluminum storefront, aluminum curtainwall, custom fabricated louvers, entrances, interior glass and glazing.